EACH THOUGHT YOU THINK, EACH WORD YOU SPEAK, AND EACH MOMENT OF ACTION YOU TAKE, IS CREATING YOUR NEW HOLOGRAPHIC REALITY. BELOVED MASTERS, NOW IS ALWAYS THE MOMENT OF MAGICAL CREATION FROM THE AETHERS. YOU HAVE BEEN DOWNLOADED THE DIAMOND LIGHT CODES OF CREATION FROM OUR MOTHERFATHER CREATOR SOURCE OF THE DOUBLE DIAMOND SUN.YOU WAS GIVEN THESE CODES TO CREATE THE NEW NOW. MANY HAVE STABILIZED THE FITH DIMENSIONAL SPACE AS IT IS NOW SET WITHIN MILLIONS OF HEARTS NOW. TRANSCENDENCE INTO THE FITH DIMENSIONAL SPACE GIVES YOU ALL THE DIVINE SACRED UNION OF THE COSMOS THROUGH THE UNIVERSE OF UNIVERSES. SOURCE IS YOUR ULTIMATE EMPOWERMENT. THIS POWER IS YOURS THE MOMENT YOU REMEMBER HOW TRANSFORMATION RETURNS INTO THE UNIFICATION OF OF SELF. ALL DIAMOND CODES ARE NOW INTEGRATED. THE DIAMOND FREQUENCY IS THE POWER SOURCE OF ALL CREATION. 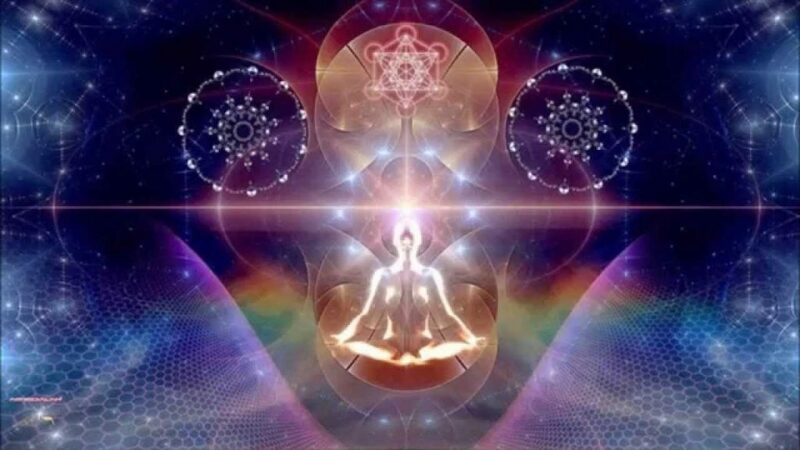 AS THESE CODES ARE RELEASED THROUGH PURE INTENT OF THE HIGH HEART AND UNIVERSAL MIND, THE AETHERS WILL ATTRACT INTO YOUR ELECTROMAGNETICALLY CHARGED FIELDS. HERE YOU KNOW THE HEART BEAT OF CREATION ITS SELF.YOU ARE NOW ABLE TO CREATE FROM THIS SPACE. CREATION FROM THE AETHERS OF SPACE REQUIRES ONLY YOUR HIGHEST CHOICE. THE POSSIBILITIES OF THESE CHOICES ARE ENDLESS. KNOWING THE OUTCOME EFFECT OF EACH CHOICE BEFORE TAKING A DIRECTION IS KNOWING AS IF IT HAD ALREADY OCCURRED. KNOWING THAT EACH THOUGHT YOU THINK, EACH WORD YOU SPEAK, AND EACH MOMENT OF ACTION YOU TAKE, IS CREATING YOUR NEW HOLOGRAPHIC REALITY. ALSO KNOWING, THAT EACH POTENTIAL PATH THAT COULD HAVE BEEN TAKEN, IS ALSO A PARALLEL TYMELINE. YOU EXIST IN TYMELINES OF PARALLEL WORLDS WHERE YOU ARE IN A MOMENT OF A DIFFERENT CHOICE. THIS IS CALLED QUANTUM PARALLELISM. YOU ARE EXISTING IN ALL DIMENSIONAL SPACE HERE NOW. WHAT EVER THOSE OTHER CHOICES ARE IS NOT THE ONE YOU STAND IN NOW. THIS ONE YOU STAND IN NOW IS THE ONLY ONE THAT MATTERS. OTHER PARALLEL SELVES ARE ONLY POTENTIAL OF A SEPARATE CHOICE. KNOW ALSO, THAT THOSE POTENTIAL SELF ARE YOUR GREATEST, GRANDEST, AND HIGHEST CHOICES AS WELL. KNOWING ALSO THAT EVERY GRANDEST CHOICE YOU CONTINUE TO DECIDE KEEPS YOU ON THIS TYMELINE. CHOOSE TO BE YOUR HIGHEST SELF, AND YOUR DESTINATION WILL GUIDE YOU THROUGH YOUR TRUE DESTINY. INTUITIVE CHOICE IS THE HIGHEST POSSIBLE DIRECTION OF DESTINATION. IF YOU EVER WISH TO LOOK AND SEE INTO YOUR FUTURE SELF CREATE THE CHOICES THAT PLACED YOU THERE. YOUR INTUITION KNOWS WHEN YOU ARE NOT BEING YOUR GRANDEST SELF IN ANY PARTICULAR TYMELINE. WHEN NOT IN THE ONE YOU INTEND, YOUR UNIVERSAL SELF TELLS YOU IN EVERY POSSIBLE WAY TO GUIDING YOU THROUGH THE DESTINATION OF YOUR DESTINY. EACH CHOICE IS GUIDED BY YOU, THROUGH YOU, ALL THE TYME. YOU CREATE A CHOICE BECAUSE IT IS YOU WHO KNOWS HOW TO GET THERE. INTEND TO BE WHERE EVER YOU ARE AT, WHERE EVER IT IS YOU WISH TO GO, YOU ARE SOULY GUIDED BY YOUR HIGHEST SELF. THIS IS WHY EACH ETERNAL QUANTUM NOW MOMENT IS THE CREATIONAL POINT OF SPACE.THIS IS WHY EVERY THOUGHT AND ACTION EFFECTS YOUR PRESENT OUTCOME. AWARENESS OF YOUR INTENTIONS BRING YOU INTO THAT HOLOGRAPHIC REALITY IN WHICH YOU STAND. AS IT HAS BEEN SAID, ALL YOU THINK, SAY, AND DO IS YOUR PATH OF DIRECTION EVEN IF YOU ARE AWARE OF IT OR NOT. KNOWING INTENT IS YOUR CONSCIOUS CREATION WITH IN THE AETHERS OF NO TYME SPACE. THIS IS A KNOWING OF YOUR HIGHEST HEART THAT LEADS YOU THROUGH EVERY CHOICE. YOU CAN NOT KNOW OF WHAT WILL BE UNTIL IT IS DONE. YOU CAN NOT KNOW OF WHAT WILL HAPPEN IF YOU HAVE NOT THOUGHT AHEAD OF IT. FOLLOW YOUR HEART, FOR IT KNOWS THE WAY. YOUR DIVINE HEART WILL SHOW YOU THE WAY ONLY IF YOU LISTEN TO THAT CHOICE AND FOLLOW THROUGH IT. FROM THE SMALLEST TO THE GREATEST POSITIONS OF LIFE TRULY IS YOURS TO HAVE. UNDERSTAND ALL THE POWERS OF THE UNIVERSE ARE WITHIN YOU. IT COMES FROM NOWHERE ELSE. BE CONSCIOUSLY AWARE IN ALL THAT YOU DO. BE MIND-FILLED OF THE THOUGHTS OF PURENESS AND WHOLENESS. EVERY QUANTUM THOUGHT YOU THINK IS AWARE. REALIZE YOU ARE INSIDE A MOMENT, BECAUSE YOU PUT YOUR SELF THERE IN PURPOSE. THE QUANTUM PARTICAL WAVES ONLY REACT FOR YOU WHEN YOU ARE AWARE THAT THEY CAN. REMEMBER EVERYTHING IS THIS. JUST A THOUGHT. JUST A THOUGHT WITH FEELING CREATES THAT MOMENT. REALIZE WHEN EVER YOU PLACE YOUR SELF IN ANY MOMENT IS BECAUSE OF THE CHOICE ONLY YOU HAD MADE. THIS IS NOT ANOTHER MOMENT ACCEPT YOUR OWN. UNDERSTAND OTHERS ARE CO-CREATING EACH EXPERIENCE WITH YOU IN YOU PATH. EACH WILL CONTINUE TO CHOOSE THE SAME EXPERIENCE OR CHOOSE TO MOVE INTO ANOTHER. LET THEM FREELY BE AS THEY ARE TO BE, AS YOU ARE FREE TO BE AS YOU ARE. ONE IS TO HARMONIZE AND BALANCE ALL ASPECTS OF THE MIND FROM THE LOVE OF THE HEART. GO WITH YOUR SOUL AND LET IT STEP FORWARD. LET IT THINK, LET IT SPEAK, LET IT CREATE YOUR DIVINE PATH IN WHICH YOU ARE DESTINED FOR. MIRACLES HAPPEN WHEN IT IS SET FREE TO EXPLORE EVERY DIVINE POSSIBILITY. THE PERFECTED PATH OF YOU CREATES THE HIGHEST SELF MANIFESTATION HERE IN YOUR HOLOGRAPHIC REALITY NOW. THE POWER OF THE HIGH HEART AND UNIVERSAL MIND OF YOU IS YOUR OWN POWER. WHEN CREATED FROM LOVE, WISDOM, AND TRUTH, AMAZING AND WONDROUS HAPPENINGS MAGICALLY OCCUR. HERE INSIDE THIS MOMENT ALL IS GOLDEN. THIS IS THE ALCHEMY OF CREATIONAL MANIFESTATION. THE MAGIC OF THE AETHERS. CREATION IT’S SELF. TRUE THROUGH THIS MAGICAL PATH. THROUGH EVERY ASPECT OF YOUR TRUE SELVES COMES THE BLESSING UPON THIS PLACE. SURELY, HEAVEN IS HERE. I ETERNALLY STAND INSIDE YOUR PRESENCE O LORD OF LORDS, THE MASTERS, OF FIFTH AND SIXTH DIMENSION. I AM HERE ALWAYS IN ALL WAYS.